We attend a variety of shows and events. Here is a list of where we hope and expect to be in 2017. 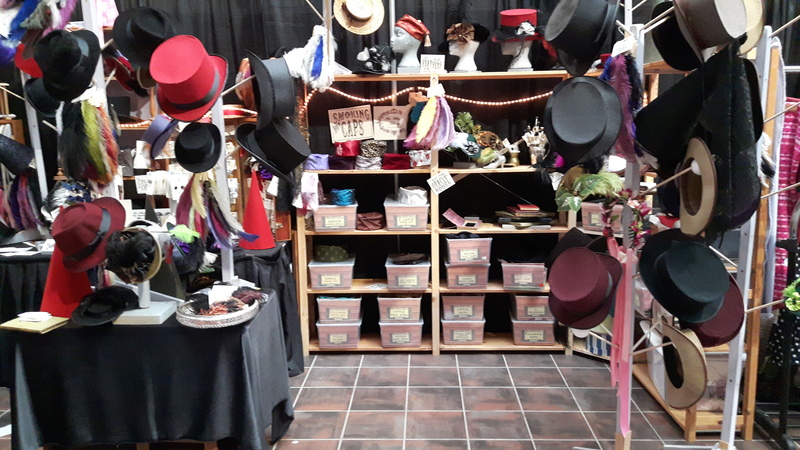 Sometimes we set up our full shop, sometimes we have just a hand-cart, and sometimes we are simply there to participate in and enjoy the event, but we can usually have a little “Hat Chat”. March 10: “Navigate” NSCC Entrepreneur & Alumni event, Digby, NS, RSVP! For pictures from previous shows, please see our Gallery. To invite us to your show or event, please contact us!